Owner Cindy Fargo works at Doc Cindy’s Doll Hospital & Shop, which she opened Monday at 207 W. Second St.
MUSCATINE, Iowa — Well hello, dolly, it’s so nice to have you in a new downtown shop where you belong. Cindy Fargo, 63, of Illinois City, Ill., opened Doc Cindy’s Doll Hospital & Shop Monday at 207 W. Second St. The 400-square-foot shop is in a storefront owned by Tom and Ann Meeker of Muscatine. It is next door to Grandma’s Lost Button, an alterations shop where Fargo had worked since September. “She insists I go have lunch with her every day,” Fargo said of Claire Martin, her former boss and shop-owner neighbor. Martin opened her shop at 209 W. Second St. in November 2010 so the building where she had been located at 103 Walnut St. could be torn down by its new owners. Fargo said she was certified as a doll doctor last year after completing an intensive week-long program at G&M Doll Restoration in Virginia Beach, Va. She decided to open her doll shop after running the business out of her home. 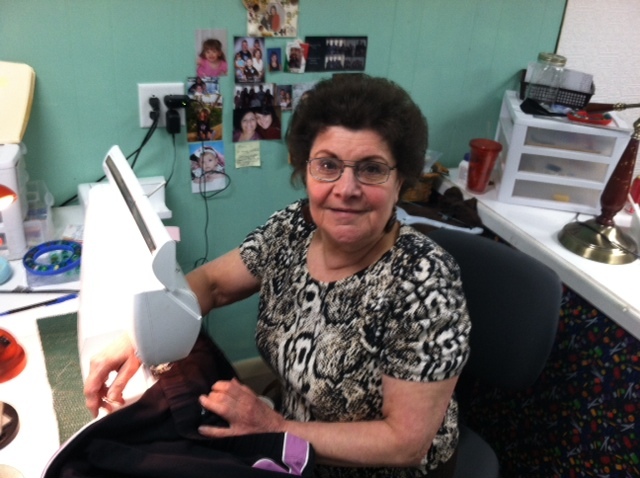 She has also previously worked as a seamstress at Costumes By Patti Jo in Moline, Ill., and for her sister, Sue Spenner, and Bruce Brown at the Orange Street Theatre in Muscatine. Doc Cindy’s will be open Tuesday through Saturday. The business will repair broken dolls from antique to new, including the 18-inch dolls that are normally known by the American Girl brand name and are popular with many girls. “I also create and make dolls,” Fargo said, adding she will sell one-of-a-kind dolls made by artists who are well known in the region and beyond. Those dolls will be sold for $100 and up, she said, depending on how big they are and how long they took to make. “They’re very labor intensive,” she said of the dolls made by the artists. Where: 207 W. Second St. Hours: 10 a.m. to 5 p.m. Tuesday through Friday and 9 a.m. to noon on Saturdays. Where: 209 W. Second St. Hours: 10 a.m. to 5 p.m. Monday, Tuesday, Thursday and Friday. Appointment only on Saturdays.